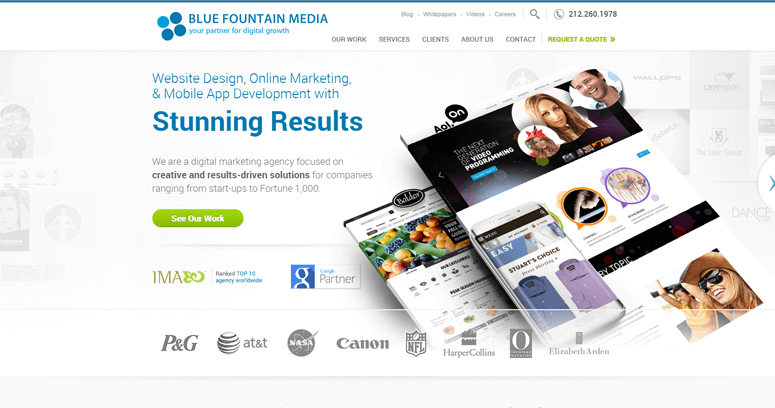 Blue Fountain Media takes tremendous pride in having a portfolio that includes open source technology. Websites are built with versatile tools that lay the foundations for open-ended designs. In other words, web pages can be easily updated without making any drastic changes to the back or front ends of a domain name. When a platform such as WordPress is used, templates are easily set up and then edited with downloads. 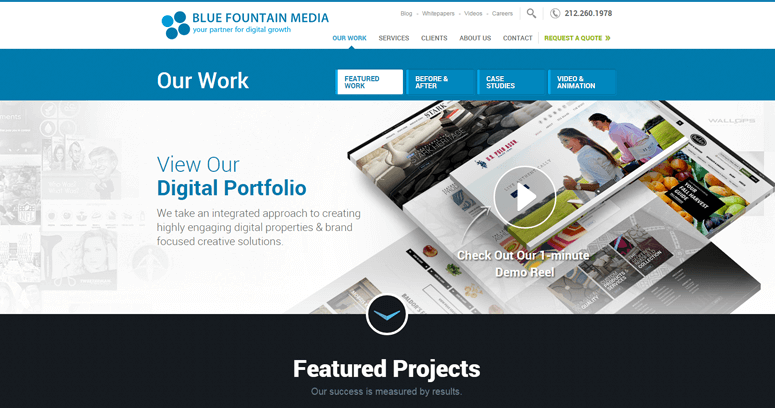 Blue Fountain Media sees plenty of great potential in using content management systems to save time, money and effort for everyone involved in the development phase. 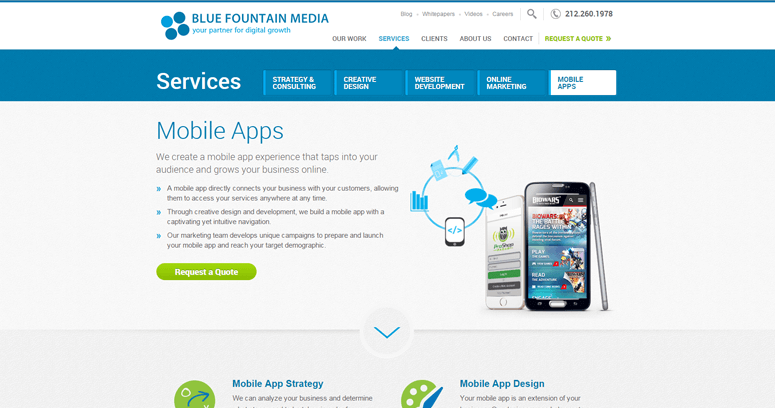 In addition to crafting custom websites with open source utilities, Blue Fountain Media digs deep into its creative department that consists of graphic designers and multimedia experts. In today's high-tech era, it is vital for web pages to present visual content such as videos and photos that tell a story about people, products and other subjects.